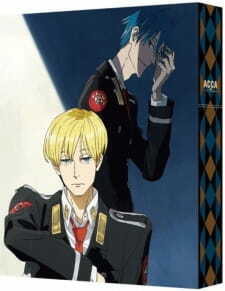 Short specials of ACCA: 13-ku Kansatsu-ka included on the three BD Box Sets. The first episode focuses on Jean and Lotta where Lotta reflects how Jean is very forgetful day-to-day yet remembers the most important things. The second episode focuses on Nino and Jean out drinking at a bar. Nino pokes at Jean for not having any friends outside of himself and Lotta. The conversation then steers toward women.